Returning this year, Farmfair International will be hosting an Open Steer and Heifer jackpot show featuring percentage and calendar calves. Entries are $60 and payout will be 50% to champion and 35% to reserve. This show will provide exhibitors an opportunity to showcase different aspects of their business. Competing cattle are not required to be purebred. 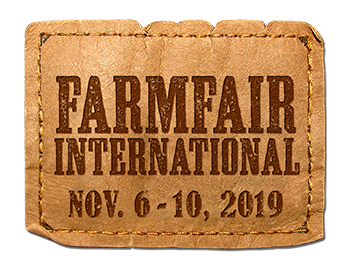 Exhibitors dabbling in club calves and commercial cattle have a new opportunity to showcase their breeding programs to the invested guests at Farmfair International. This scholarship is to acknowledge the dedication and passion that Elaine Hiller, Show Mama, had for the beef industry and the inspiration she brought to those around her. Like Elaine, the recipient of this scholarship is someone who is heavily involved with the beef industry, always willing to lend a helping hand and is a mentor to those who may be less experienced in the industry.